Spirit™ disabled vehicles combine excellent accessibility with bags of storage space, whenever you need it. Specially adapted with high quality access aids, Spirit™ can address a variety of mobility needs. Whether it’s providing a safe environment for high dependency passengers, coping with larger wheelchairs or accommodating a large family or small group, there’s a Spirit™ model to fit the bill. 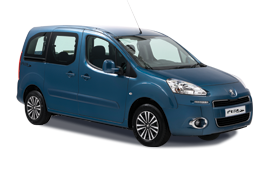 Every Peugeot Spirit™ wheelchair accessible vehicle comes complete with an automatic internal lift or with a lightweight ramp. Both carer and wheelchair passenger will feel at ease entering and exiting Spirit™ using the lift or wheelchair ramp, both of which are easy to operate. Whether it’s mobility aids, medical equipment or the hundred and one other things you need to take with you when you go out, Spirit™ has room for it all, and comes with lap and diagonal seat belts for all seated and wheelchair passengers. Available in a choice of seating layouts, Spirit™ can carry up to eight people, with space for up to two wheelchairs, affording ample room for larger families and groups. The spacious rear compartment of these wheelchair adapted vehicles affords ample area for those times when you may need to administer care within the vehicle. 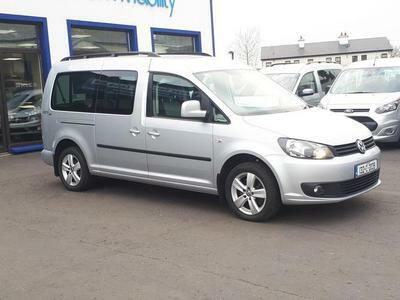 With one or more rear seats you can relax and enjoy your journey with a carer or family members travelling alongside. Spirit™ is surprisingly economical when you consider how much space there is inside and has one of the most cost-effective engines on the market when compared to other vehicles of a similar size. 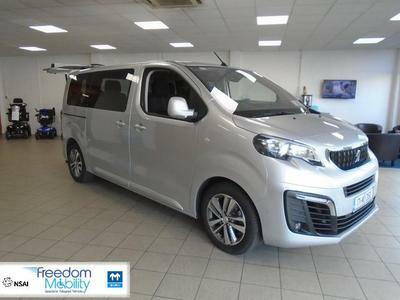 With an average fuel consumption of 37.6mpg combined, running a wheelchair accessible that’s spacious enough for your needs doesn’t have to cost a fortune. Based on the popular Peugeot Boxer, Spirit disabled vehicles can accommodate a wide range of wheelchairs, scooters and powerchairs. Available in a choice of seating layouts, Spirit can easily carry a larger family or group, offer extra space for transporting vital equipment or provide a home from home for essential daily care. 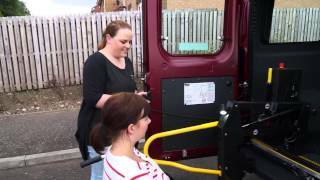 Our standard Spirit wheelchair accessible vehicle comes with driver and two front passenger seats, plus one rear seat included so that the wheelchair passenger needn’t be alone when travelling. You can add various fixed or tip and turn seats to this to ensure all of your family or community group is catered for. If required, you can choose a Twin model which accommodates two wheelchairs. You can also opt for the longer Plus or Extra models, for even more floor space, additional headroom or larger passenger numbers. Example seating layouts are shown below and numerous other options are available. Please speak to our mobility advisors to find your ideal layout. 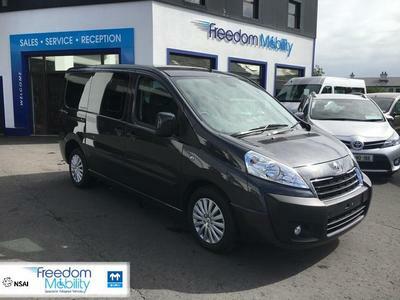 Watch our video on the Peugeot Spirit, the first large wheelchair accessible vehicle available from Freedom Mobility, perfect for larger wheelchairs or scooters.